You know, the classic question you get during job interviews or annual performance reviews. Its basically a "veiled" attempt to put down the "otaku" promoter after discovering he was a polytechnic diploma holder. People can be "unintentionally" cruel. This after knowing the "otaku" promoter wanted to be a pilot in his 20s...Rejected. Wanted to sign on in the Navy as IT specialist... Rejected. The promoter asking the question is in his early 30s. Before joining this sales line, he was a shift manager at McDonalds in Malaysia. I see it as a case of 50 steps laughing at 100 steps. I knew the "if you fail to plan; you plan to fail" bayonet twisting will come soon. So I just casually chimed in that I have no goals too! This shut-up the promoter doing the "bullying". He knew my "pecking order" at this selling floor. Many things he can't do; I can do. Sales is very realistic. Those who can sell; talk louder. Notice a similar pattern in our community? Those who struggle are the loudest parrots of conventional wisdom that everyone already knew. I don't even trust what I say or do! One is don't believe what others do; the other is don't believe what others say. I am part of the 99%. I did not plan it to be so. Honest! But once alerted to it, how can I not complete this "unplanned" trilogy? I think most of you can relate with me here. I often say things for the sake of say, say only. When colleagues are bitching about management at the water-cooler, I nod my head and say, "Yalor, yalor." All for the sake of blending in. What do I do when management shouts, "Jump!" I echo back, "How high?" Hello! You think I want to be sheep all my life? Of course I want to be shepherd! Not because I enjoy being a shepherd; I want to gain access to landowners. Now that's networking with people that matters! At kopitiam, its a national sport to knn big daddy. What? You expect me to defend big daddy and risk being ostracised? I think I should get an Oscar for my Hollywood skills! I'm so fake I'll make a Mainland Chinese counterfeiter proud! What do I do during elections? Of course I not stupid. I got own assets one hor! Even though its nano in size. Nano landowner is still landowner what? Sheep will complain HDB 99 year leasehold is not an asset; we don't own it. Yet what do they do? Go apply HDB BTO... LL. Yup, we all like to say, say only. Wink. I take pride that I practice consultative selling - I help my customers make their own buying decision themselves. I'm not Sim Lim; I don't push products out. Its all very nice posturing; I do so because I am confident most customers will buy from me. I am competent in selling. If friends in sales say to you to support a friend leh... That means they are not competent yet in their craft of selling. They are using emotional blackmail to make a sale. Back to my pride in consultative selling. The $64K question is - am I doing it for myself (one of Maslow's hierarchy of needs); or am I doing it more for my customers? Last month, I found a purse on the bus and returned it to the rightful owner. Inside a few hundred dollars. I was thinking to myself. 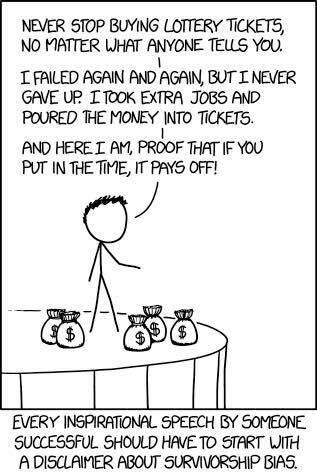 Would I have done the same if I've found a million dollars? All of us has a "price". What would you do if you "found" a million dollars? Do you honestly believe what you say? I should have cancelled my CPF Dependant's Protection Scheme when I came back at age 44. Talk about don't sweat the small stuffs! I did cancel my Term insurance when I came back. When the 20 years break-even for my remaining Wholelife policy was hit 2 years back, I cancelled it too. I remembered because the annual premiums were in the thousands. Yes, this proves the annual premiums for this CPF DPS policy were dirt cheap. Highly recommended to get it when you hit age 21. The annual premium for those age 34 and below is just $36 per annum! Cheap right? $46K is not a lot, but when you have little or no savings in our 20s, at least its something for our parents to tide them over in the event we have to depart "abruptly". Most of us would have forgotten about it - just like me - as the annual premiums were frequently paid out from our annual CPF interests received. However, this year different for me. At age 50 and above, the annual premium will have a "big" jump in percentages. Although in dollar terms, they're still pretty modest. If you want to keep it till age 60, also can. It won't cost you an arm or leg - especially for those who like to voluntarily top-up your CPF - the increased CPF interests will be more than enough to offset the increased in annual premiums for DPS due to your higher age. However, I prefer to take out my CPF; not put more in. Just went down to NTUC Income as Bras Basah road to sign the opt-out form. Then took the opportunity to say hello to Kwan Im Ma at Waterloo Street. Wow! So crowded on a Wednesday afternoon? Some people just love to assemble and pimp-put their own furniture or PC. It gives them a sense of accomplishment. While some just love the cost savings that goes with Do-It-Yourself. Most of us would prefer to do it online ourselves than dealing with a remisier or private banker. It seems more and more HDB transactions are being transacted by owners and buyers themselves nowadays without the engagement of property agents!? Not I say one hor. But do you find the 3D thing very cool and smooth? Even not buying or selling, I don't mind browsing around to get some "inspiration" on home decorations. I guess when you can save $10-30K, money is still money! Confuse as to what CPF grants you eligible for? Now here's a simple quiz to help you find out in a breeze! Mind you! Its just for CPF grants only. It does not tell you whether you eligible for HDB flats or not. OK, own time, own target. I am constantly bemused by new investing enthusiasts who were inspired to start their (harrowing) financial journeys and jump blind into the investment pit of snakes and dragons (龙蛇混杂). If they come from a non-accounting or business finance background, one would have thought they would want to learn some basic accounting first - for accounting is the language of commerce. They go pay $3K for some voodoo investing course that's nothing more than A is for Apple level kind of education. Of course they can't tell the difference! Only "bei kambings" will mistake A for Apple as the "holy grail". They will get a rude shock when they pickup an "Investing for Dummies" book only to realise that's where their "mentor" has stolen with pride from!!! Under point 3 you'll find this Practical Business Finance for Non-Financial Executives. Nanyang Technological University - power or what? Not some unheard of "self-proclaimed academy of sorts". Academic of substance - not someone off the street (that would include me). There are also other interesting courses - like leadership skills, critical thinking, and of course this one close to my heart - coaching. P.S. Those of you who are warm-blooded with your own internal combustion engines would have gotten the hint and now exploring the continuing education websites of NUS and other local universities, Polys, and ITE (举一反三). Some are part-time courses with vigorous examinations for those who are into collecting boy scout badges. Yes, can add more ABCs behind your name. Wink. Yesterday, I was invited to a e2i talk at a very cool restaurant. 1) Small and medium sized business owners. 2) Professionals, managers, executives, and technicians - PMETs. You got pay taxes right? That makes big daddy a vested partner in your business. The more you make; the more big daddy earns in taxes. But if you don't make money; big daddy got nothing to tax... Bummer! Take a look at the programmes and productivity solutions that e2i offers to help your employees help you EARN more and SAVE more! That's what really matters, doesn't it? In the days of old, when it comes to retrenchment, job disruptions, and/or career displacements, its usually the "blue collar" workers that bear the brunt of the pain. Most PMETs just shrugged since it doesn't affect them - the pin no prick them no pain. Still think just as long you got a degree or diploma, big daddy owes you a job? For those who are "warm-blooded", it can be good to know where to access the resources you can tap on, way before you may need them in the future. Wink. By the way, if you are a lost young graduate who have no clue what you want to do, no harm to visit one of these e2i centres near you to get a feel for the industry or job sector you may be interested in. I am a believer in small government. I never liked it when people try tell me what I should do or not do. There is a big difference if you visit e2i as a sheep - people tell you go where you go where; versus you go as a shepherd - you merely looking up for support/resources that may help you do what you like. Just ask your older cousins who are engineers. Or talk to those who took up IT Computing in the late 80s because everyone says computers will be the next BIG THING! I am better organised now! "My interests" and on the "Dreams and Goals" tab located on the right column of my blog. There, you'll find the deranged and hallucinated writings typical of a grasshopper. Mind you, the perspective of the grasshopper was borne out by his past life as a purchaser visiting founder owners of factories throughout Asia. Its a real privilege to be able to have tea or coffee with land owners who are in their late 60s to early 70s, and have passed the day-to-day operations to their 2nd generation. For readers who no time and no patience, no worries! Goal setting is like Western medicine - where pain; fix where (治标). Got headache? They look at your head. Knee pain, they fix your knee. Dreams and visions are like Chinese medicine - holistic approach (治本). They freaking ask probing questions about your lifestyle, diet, how's it going at work, relationship issues at home??? Hey! Fix my stomach can? Buying our first home, whether it be public housing or private properties, this is probably our biggest financial purchase till now. Get it right, or just plain being lucky, we have seen those who have parlayed their first property purchase into their first pot of gold. Those lucky bxxxxxxs! Get it wrong as in overpaying... You do the math. You paid $100K more for your place than your neighbour next door. Multiply this $100K with bank interests over the next 20 to 25 years. Now you know why someone the same age as you earning similar pay is able to inject a lot more cash into his portfolio or opportunity fund every year than you. He paying himself first; you paying the bank first. 2. To buy Car or not? Here we just focus on we can afford a car, but the decision is whether we should spend that $100K first as in killing the golden goose? Or do we keep the golden goose alive and be patient and slowly accumulate the golden eggs to buy that car? This way, we can have both the golden goose and the car at the same time! Problem is... Can your golden goose lay golden eggs every time? No rotten eggs ever? And what if tomorrow never comes? Also, driving a Ferrari at 50 is not the same as driving one at 30. Wink. Want to know a fact? Insurance policies are mostly sold to. If not why insurance companies dangle commissions and incentives to their agents to push these policies out? They now know they should have practiced: Trust but Verify. Imagine saving a dollar here, a dollar there for years... Only to discover you have been throwing away thousands annually in insurance premiums that you don't need or were not appropriate for you. Life is not a straight line extrapolation. Above 3 examples are the "easier" financial ones. Saw this great parody video in Facebook! Especially when you have seemingly "financially literate" friends who like to bug you with silly exhortations to do away with the little things in life that make you happy. Focus on ruining your own happiness (in the here and now) by skimping and scrounging before you try to make others as miserable as you. This is the little test to see if you have conviction of your beliefs. If you don't drink beer and all your friends do, and it doesn't affect you one bit, then that's conviction! But if you need to mould others to your image, or will only mix with other friends who don't drink, well, your conviction may not be as strong as you think... Wink. Perhaps that's why someone long ago don't mind to mix with prostitutes and tax collectors; and why the lotus flower has no issues with blooming in the midst of mud.